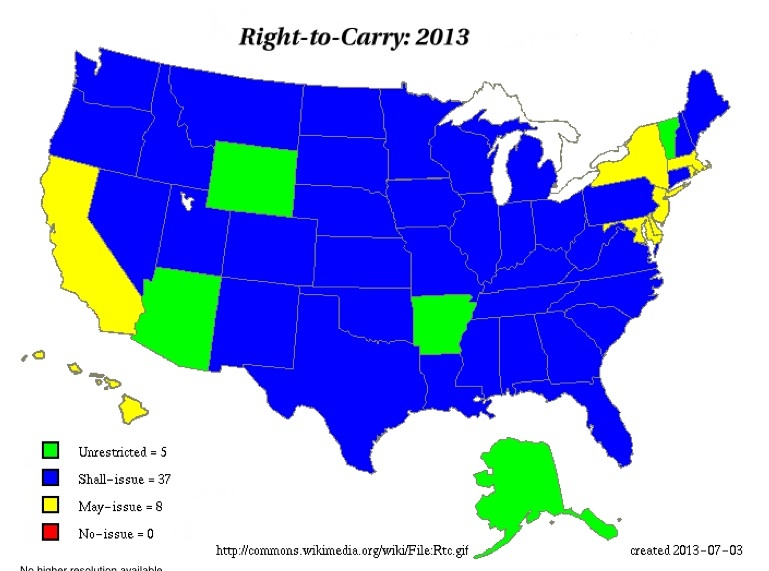 Having a concealed carry license authorizes you to carry something on your person that you could not otherwise legally carry and that is all that this license does. This license does not bestow any police powers. If you brandish your gun to dissuade an assault, prepare to be arrested. If you fire your gun in self-defense, prepare to be arrested. If you shoot someone in self-defense, prepare to be arrested. Self defense insurance is available in the event that you legally use your gun in self defense. Initially, self defense insurance only provided reimbursement for legal costs after all litigation was complete and legal self defense had been establisned. And during the whole legal process you would be on your own. Now self defense insurance provides legal and financial resources at the start and during the legal process. If you are involved in a situation where police must be involved remember that they work for the prosecutor. In the event that you are questioned by police, tell them that you will provide them with information through your attorney and only through your attorney. You have the right to remain silent and anything you say can be held against you in a court of law. This web page contains information and links to websites offering legal and financial resources should you need them. I initially purchased the maximum self defense insurance available through the NRA for $415 annually. After some research and a call to the NRA endoresed insurance carrier, I found that this insurance offered zero up front assistance and only reimbursed me after the all litigation was completed. I would be on my own until then. 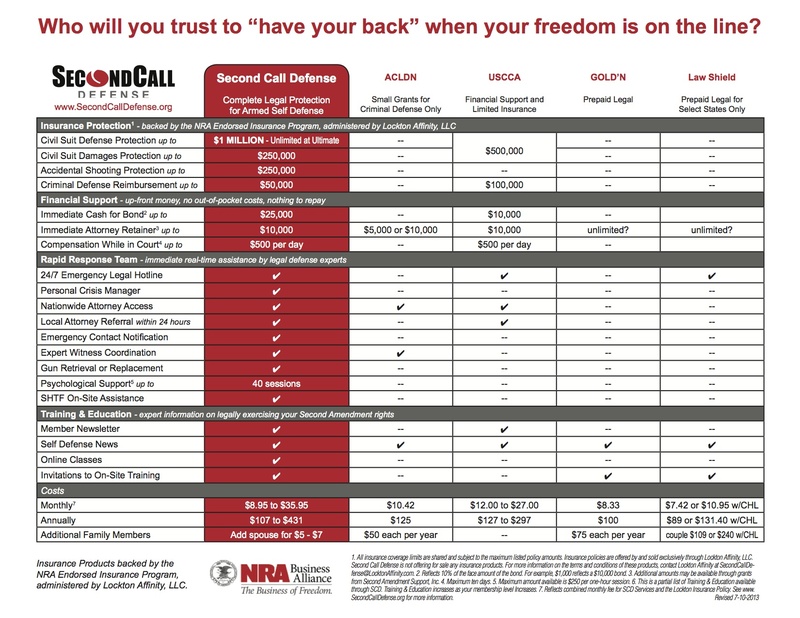 During my call to the insurance carrier, I was informed that the NRA became aware of this shortcoming and now offers supplimental insurance through "Second Call Defense." I elected to cancel the NRA endorsed insurance altogether and sign up with "Second Call Defense." Links to websites advertising self defense insurance are listed below. The .jpg graphic below is from Second Call Defense and illustrates the kind of coverage available. You can transfer this graphic to your desktop and open it up with a graphic program to make it easier to read. This is a competitive insurance market and published information may become obsolete quickley so make sure you have the latest information.